India is a diverse nation, not only in terms of culture, but tourism as well. Rugged mountains, tricky passes, tropical beaches, emerald islands, gushing waterfalls and vast stretches of desert sands dot its terrain. There is surely lots to see in India - Taj Mahal, Khajuraho, Qutab Minar, Gateway of India, Char Minar, Sun Temple... the list is endless. Needless to say, India attracts a large number of tourists each year. 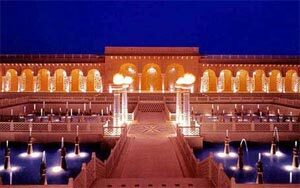 Tourists can choose from a variety of hotels in India. 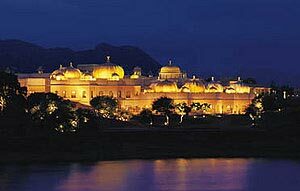 While Heritage Hotels are all the rage, the luxury hotels of India are not far behind. 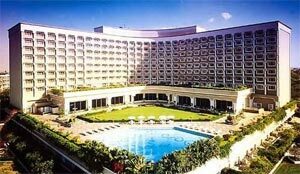 Economy and budget hotels of India are also a popular option. We at Indian Holiday Private Limited make hotel bookings in India as easy as pie. Owing to our very good connections with hotels in almost every part of the country, we are always in a position to offer very lucrative and discounted rates to our clients. Please enter our hotel query form and let us know the name of city and category of hotel. Our professionals will get back to you in no time with an array of suitable options to choose from. The industry of hospitality boosted beyond imagination, when the Indian hotels are used to book through online. Sitting at any parts of the world, the tourists and travelers have an option to view the status of the hotels where they are interested to stay in India. All the hotels whether you search for airport hotels, city hotels, beach hotels, Spa hotels, hill station hotels or the hotels at any tourist destinations, you will find them at its best with full description besides the best division of the types of hotel you are interested in booking like heritage hotels, luxury hotels, royal hotels, classic hotels and economy or budget hotels. India hotel reservation has become too easy now-a-days without any tension. In addition to hotel bookings, Indian Holiday provides a host of other quality travel services that you can enjoy at attractive rates. Kindly find bellow suggested readymade itinerary and if you required any tailor-made itinerary please contact us we will help you.